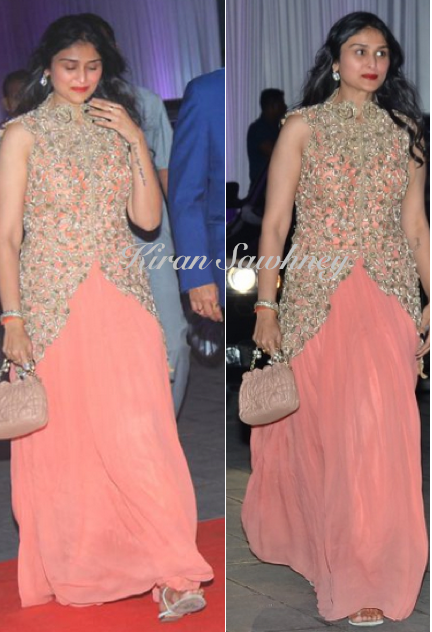 Poorna wore a Sonaakshi Raaj coral hued maxi at Kussh's wedding reception. She teamed it with light peach hued Dior pochette and thong flats. She added some diamond jewelry too. This was a bad styling. Thong flats with a gown...naaah! Also wish it was a clutch and not this Dior.